The GLOBEX Evacuation Sledge 1 (GES1) enables two people to evacuate a physically impaired person safely and easily down stairs in the event of an emergency or when lifts can not be used. Ideal for care homes and where people are unable to use evacuation chairs. Dual foam provides protection and comfort. Safety belts and foot pocket to hold the patient safely and securely in place. Tough slippery coated underside to assist transfer over floor surfaces and stairs. Comes complete with wall mounting storage pouch for rapid deployment. 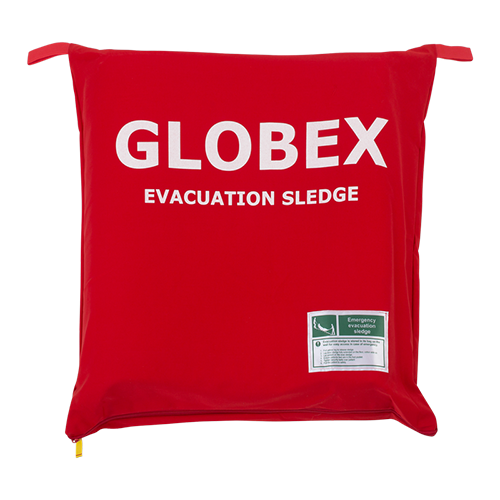 See the GLOBEX Evacuation Sledge 1 (GES1) in use - 1:05. Speak to one our experts today.